100 SMILES FOR THE NEW YEAR! Give People With Developmental Disabilities Something to Smile About! Each $50 donation provides an oral health screening & prevention visit! BECAUSE IT IS NOT COVERED BY NH MEDICAID. among people with neurodevelopmental disorders." Please help us reach our goal of giving 100 adults who experience Developmental Disabilities (DD) living in our communities SOMETHING TO SMILE ABOUT! Each $50 donation will provide 1 adult with a critical oral health screening & prevention visit. 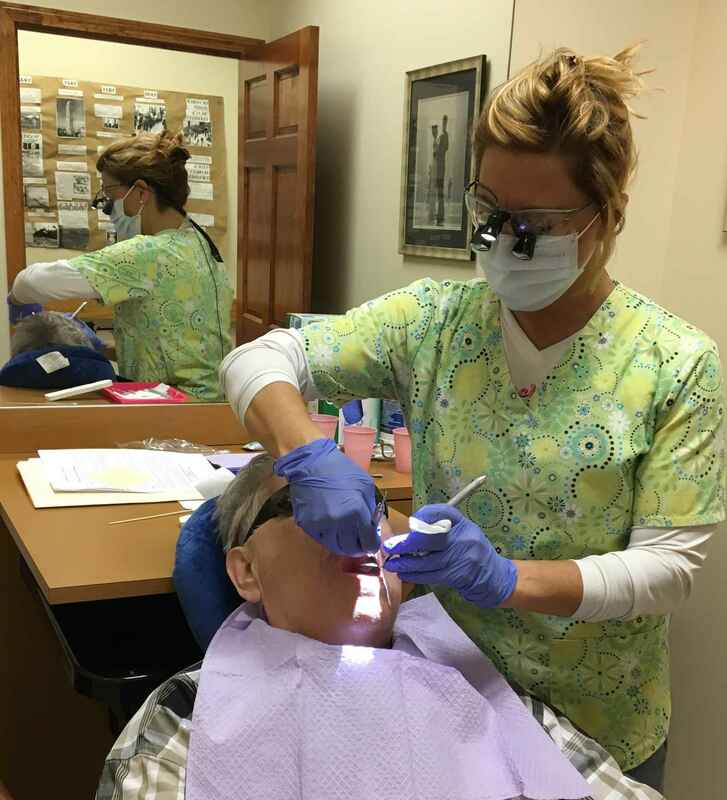 We bring oral health screening & prevention services to individuals in their home, day program or other community settings. WHY AN ORAL HEALTH CAMPAIGN? To improve the health & wellness and overall quality of life of individuals with DD. People with DD are at much greater risk of disease & illness due to medical complexities, diagnosis, limited specialty training for dental professionals, & lack of funding to provide treatment, & lack of accessible medical equipment. "You cannot be healthy without oral health…there are profound & consequential disparities in the oral health of our citizens. Indeed, what amounts to a silent epidemic of dental and oral diseases is affecting (people with developmental disabilities)." "People with developmental disabilities face increased oral health problems because of a host of physical, cognitive & financial challenges." BUT, we need YOUR help to expand & serve more adults! Please SHARE A SMILE & give a gift of preventive oral health to a person with a disability! Very happy to contribute to such a great cause! It is my pleasure to support such a valued service supporting such a wonderful organization that truly cares for the individuals that they serve. Such a wonderful cause.....so important!!! Such a need out there and this is a great program!